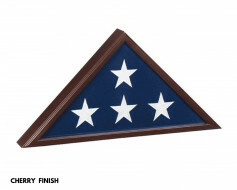 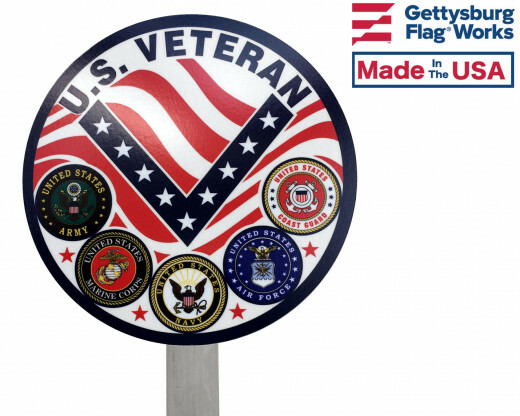 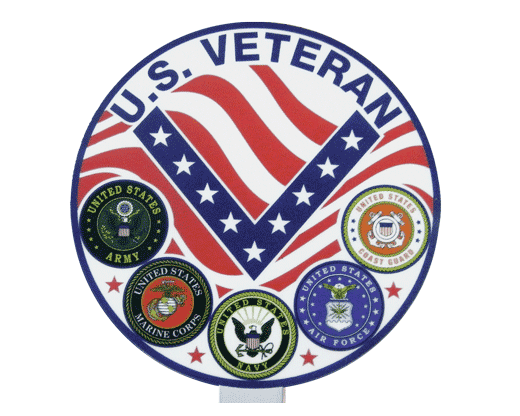 A full color grave marker with the 5 military service emblems. 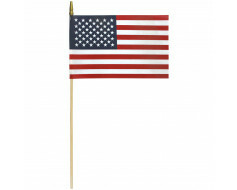 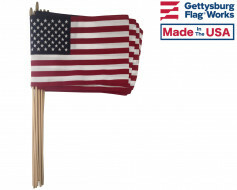 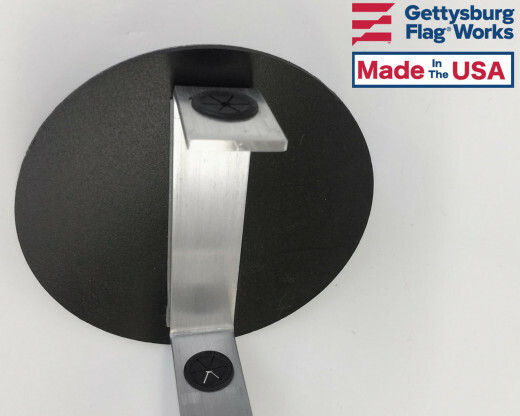 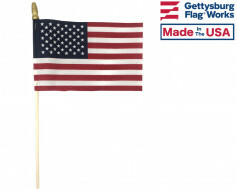 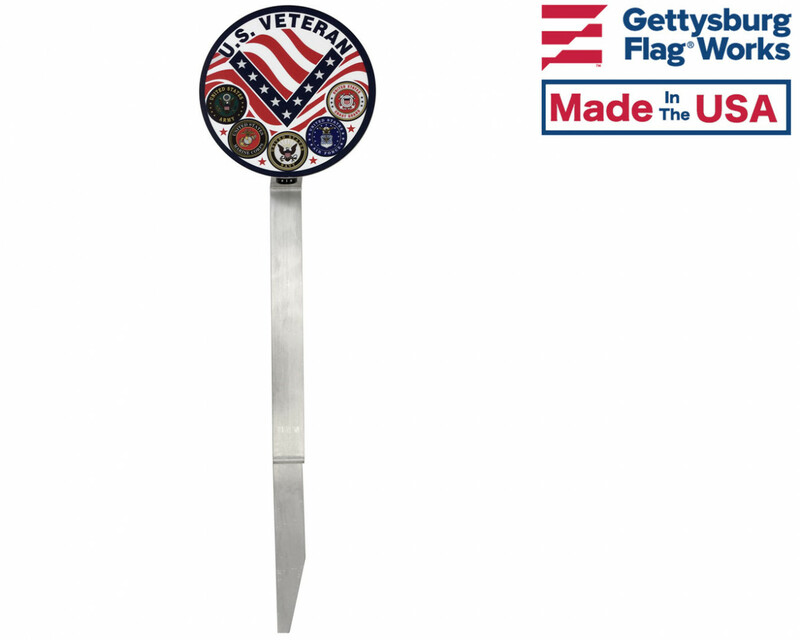 This flag holder fits a flag staff up to 5/16" diameter and holds a flag 8x12" or 12x18" securely upright in the ground or in a planter. The total length is 20" with the top 4.5" holding the bottom of the flag staff. 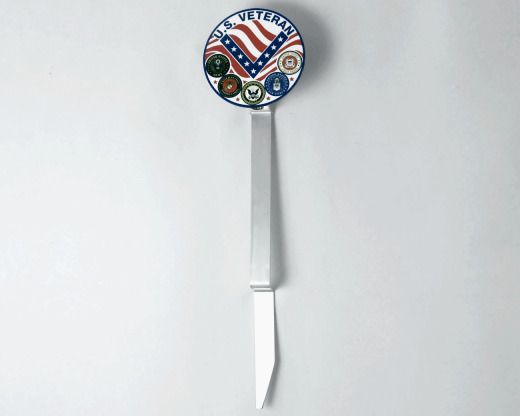 Sturdy aluminum with rubber base for flag staff.